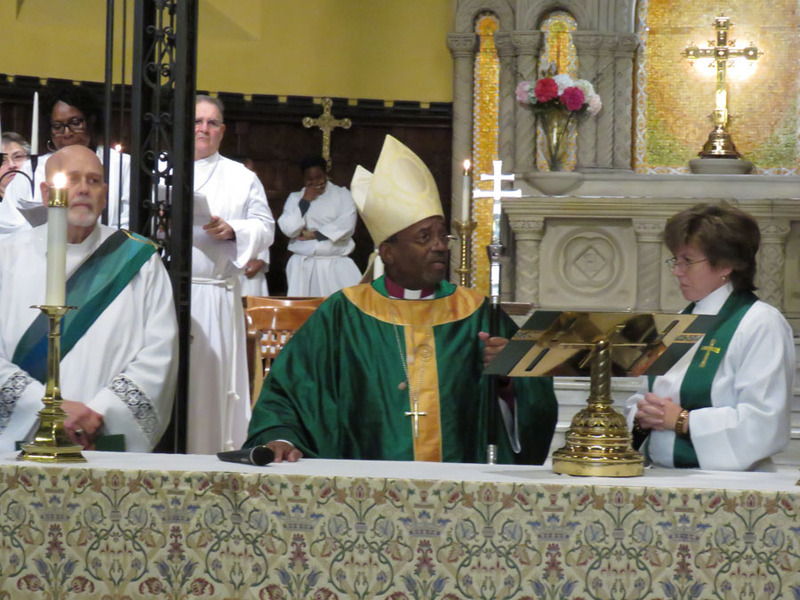 The Presiding Bishop’s primary task in the Diocese of Newark was to consecrate Carlye J. Hughes as the XI Bishop of Newark, on Saturday, September 22. 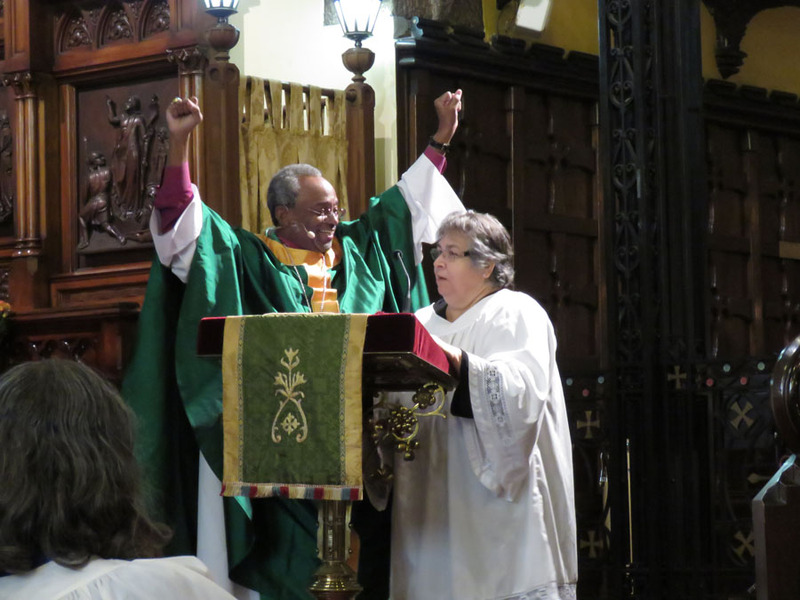 But while he was a guest of the diocese, the Most Rev. 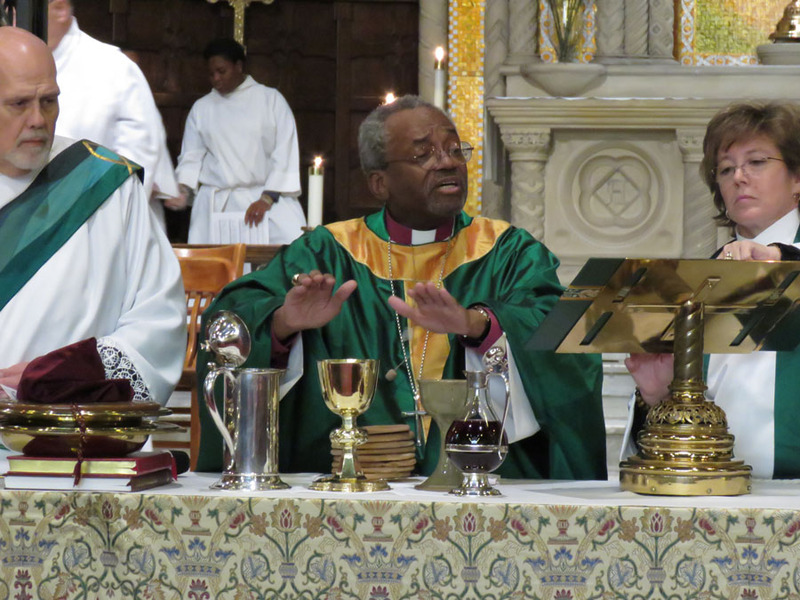 Michael B. Curry also provided an energizing boost to a recovering urban parish, with a rousing Sunday sermon at St. Paul’s, Paterson on September 23. 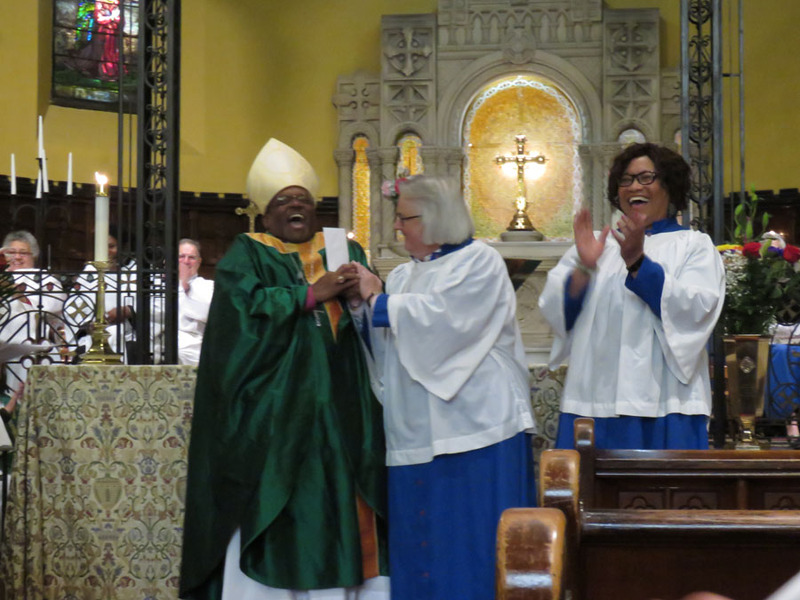 Midway through his sermon, the presiding bishop drew laughter when he grinned and said, “I was at a wedding a few months ago… It was a very nice church, lovely family. 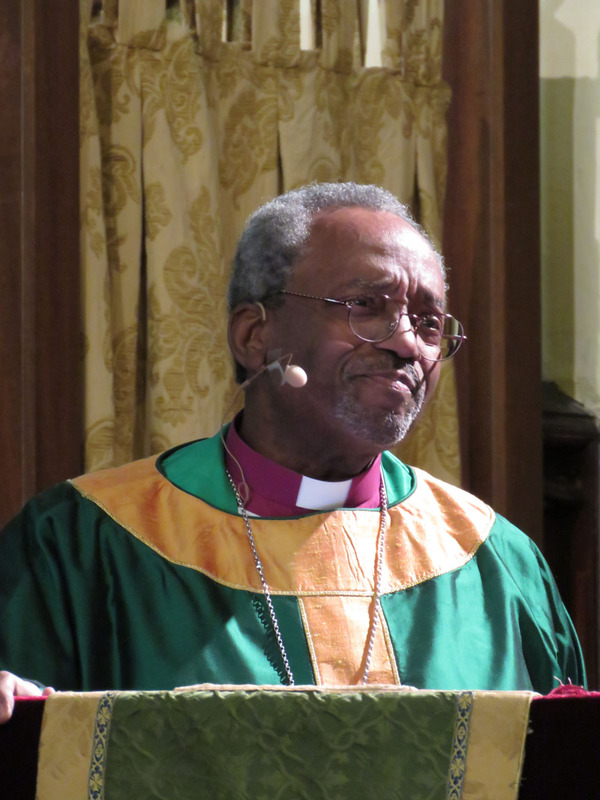 It was a big congregation.” Curry’s electrifying sermon at the royal wedding of Prince Harry and Meghan Markel was on May 19, just a few hours before Hughes was elected bishop on the first ballot. A week later he was on Capitol Hill on unrelated church business, “and they wanted to talk about love. I’m here to tell you, for one brief moment, we saw what love can actually do,” he said. 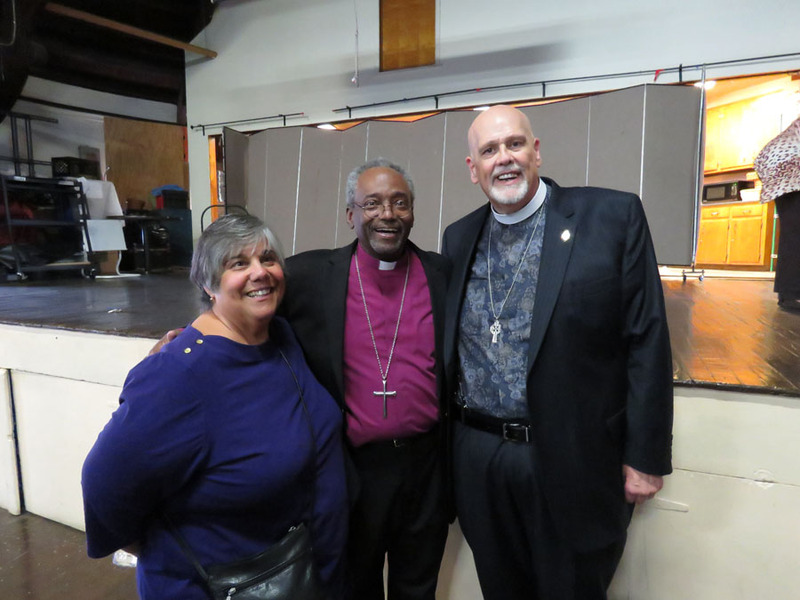 Soldwedel is excited about what a visit from the presiding bishop might do. 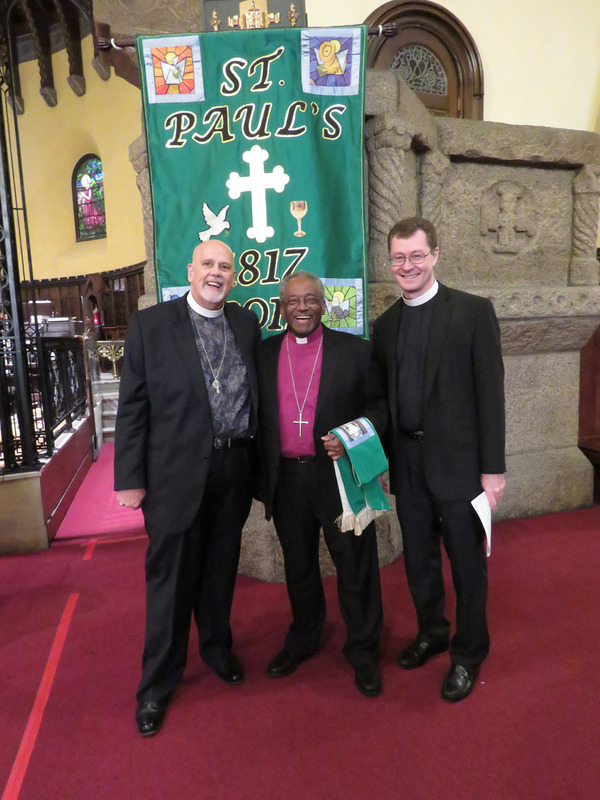 St. Paul’s has been working to strengthen its relationship with the neighborhood and the community. “The fact that the mayor and former mayor were there was very important,” Soldwedel said. 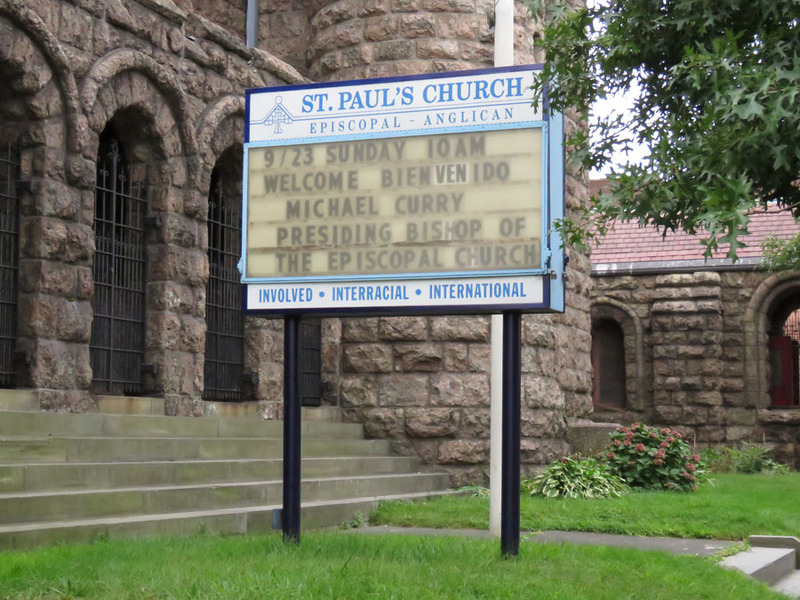 He quoted André Sayegh, the current mayor, as saying, “this is everything we’ve known about St. Paul’s, and for you to have this wonderful leader of your church to be here, let alone being a celeb….” Sayegh stayed for the entire service, and shared a hug and a photo op with Curry. 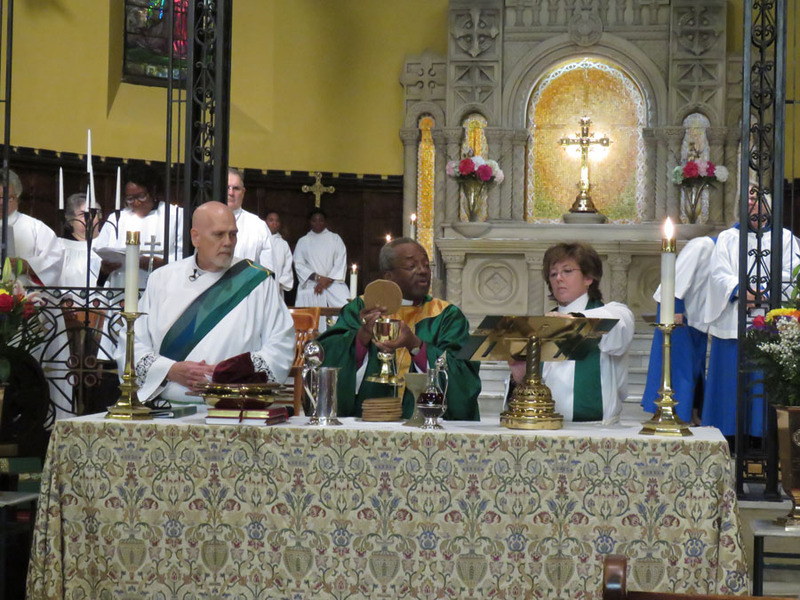 The service was bilingual, reflecting the fact that St. Paul’s has two services on most Sundays, one in English, one in Spanish. Parishioner Armantina Pelaez, a postulate for Holy Orders sponsored by St Paul's, shared the podium with Curry and translated his sermon. 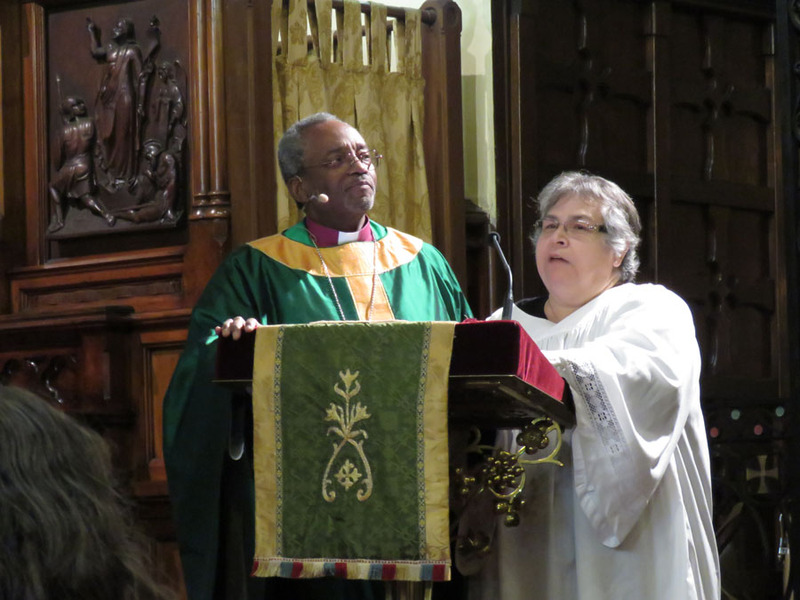 At the announcements, St. Paul's wardens Lisa Smith and Rosie Grant said the church had been told to treat the day like any other Sunday, so they gave Curry an envelope containing the standard fee for a supply priest. After roaring with laughter, Curry promptly handed the envelope to Soldwedel as a donation to the church. 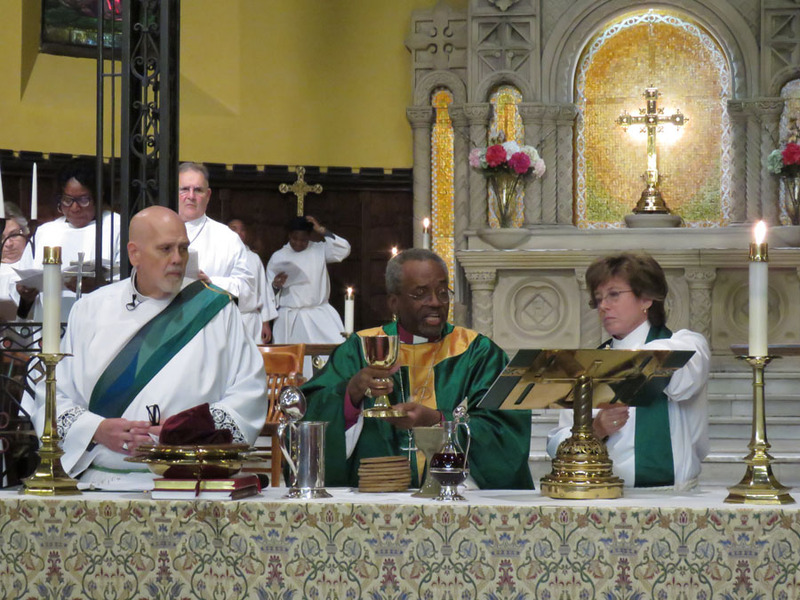 St. Paul’s, which celebrated its bicentennial last year, was the first Episcopal church in a city that once had as many as seven. St. Paul’s is now the only one left, after the final service in January at Holy Communion, less than half a mile away. St. Paul’s average Sunday attendance doubled from 2016 to 2017, to roughly 135. 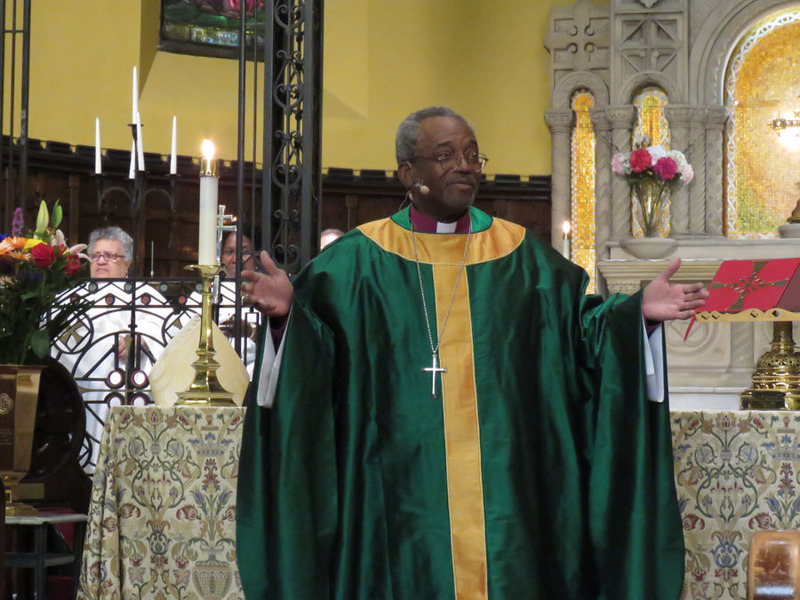 The presiding bishop’s visit will bring 2018’s average up a bit, as there were 197 people at the service, despite it not being widely publicized. Soldwedel said he avoided a big publicity push out of respect for Bishop Hughes, who had been consecrated the day before and would be formally installed in the cathedral later in the day. “This is Carlye’s week,” he said.